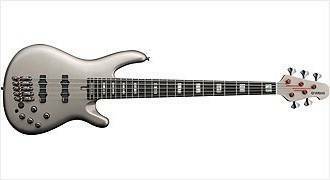 BBNE2LTD, 5+ string bass guitar from Yamaha. Celebrating 30 years of the partnership between Yamaha and bass player Nathan East, the BBNE2LTD is a limited-edition version of Nathan's signature bass featuring a new finish and an accessory kit. For more details, visit Yamaha. 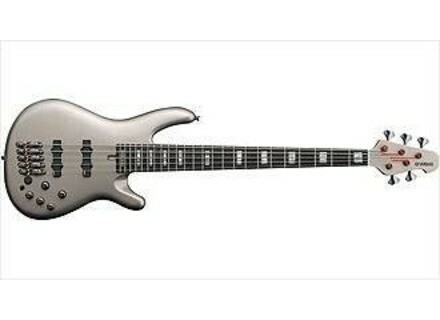 [NAMM] Yamaha Attitude Limited 3 Billy Sheehan's Attitude signature bass sees its 21st anniversary, its third major version, and the first major update in 17 years, according to Yamaha. [NAMM] Yamaha BB424/5X Yamaha presents its latest generation of BB basses. [NAMM] Ashdown Drophead LB 30 & 200 The new Drophead LB 30 and 200 combos are convertible designs in which the amp chassis is stored in the cabinet for transportation, then flipped up and clipped into place on top for stage or studio use.